Formby Hall Golf Resort & Spa is set amongst 200 acres of parkland, right at the heart of England’s Golf Coast. It is more than just a hotel and golfing venue though. 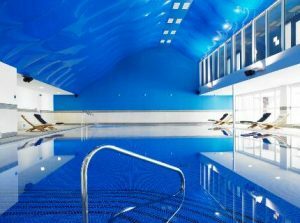 Ideal for business or pleasure, the resort offers a host of activities and facilities, easily accessible from Manchester. So whether you are bringing a corporate party here or coming along for a weekend with the girls, you will find a luxurious base from which to explore the venue itself and nearby Southport and Liverpool. One of the main attractions here is undeniably the 18-hole, 72 par, championship golf course. Formby Hall Golf Resort is one of the finest golf resorts in the area and the challenging course boasts a first class reputation as an established venue on the European Challenge Tour. In addition to this, the 9-hole par three course has been called the best course in the UK. This makes the venue ideal for a corporate golf day or a weekend golf break with friends. The PGA Golf Academy has been part of the resort since 2008 and is fully equipped with the latest technology such as radar ball-tracking and video swing-analysis, ideal for helping beginners and experienced players alike, to improve their game. If you are after something a little more indulgent, then The Formby Hall Spa offers a truly decadent hideaway filled with calm and tranquillity. The Spa will allow you to fully escape the stresses and strains of everyday life. It is perfect for mini breaks, spa weekends or even just a day of spa treatments, with packages to suit all requirements. The venue has highly trained therapists offering treatments for men and women, such as the Fake Bake spray tan, OPI treatments for hands and feet, the Shellac 14 day nail polish, wraps, facials and a range of massages. You can also kick back and relax in the sauna and steam rooms – or do a few lengths in the 20m heated swimming pool. As if that’s not enough, you can also try out the Rasul Mud steam room, heated relaxation beds and the dry float bed. Whatever you choose to do at the resort, once you’ve worked up an appetite you can choose from a variety of eateries. The newly opened Java Lounge serves a range of coffees, cakes, beers, wines and light bites in a laid back environment. Thirty Seven at Formby Hall offers a slightly more formal dining option with high quality menus based on whatever is seasonal – ideal for a special lunch or dinner. Alternatively, The 19th Hole offers both light and hearty dishes served overlooking the golf course, making it the perfect place to chill out and unwind. ST minibus hire has a fleet of minibuses and trailers that are ideal for golf clubs and suit cases and because we offer some of the best prices in Manchester for minibus travel then why not give us a call to discuss your requirements.